Give yourself an extra layer of protection from the elements for a good nights sleep. 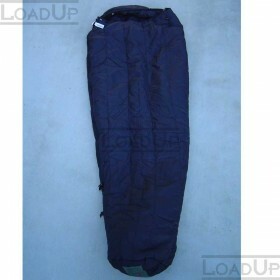 U.S. Military-issue Bivy Cover works with your sleeping bag to afford a secondary barrier of insulation from wind, rain, snow, or other inclement conditions. 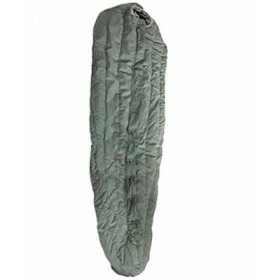 Generously sized to fit over most mummy sleeping bags, and constructed to rugged military service specs to be incredibly lightweight, modular and effective. Camp like the pros do, and trust the gear designed for the ground troops and to be there when it's counted on! 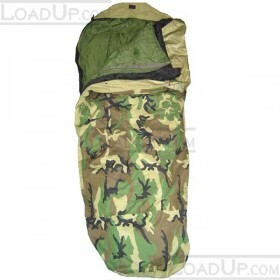 Features: The Bivy Cover is a waterproof, windproof bag designed to be used with the modular sleeping bag or by itself. It incorporates the same material that is used in the extended cold weather clothing system. It weighs less than two pounds and comes with a breakaway zipper that can completely enclose the occupant and be egressed quickly. Drawcord cinch at top and velcro tab. 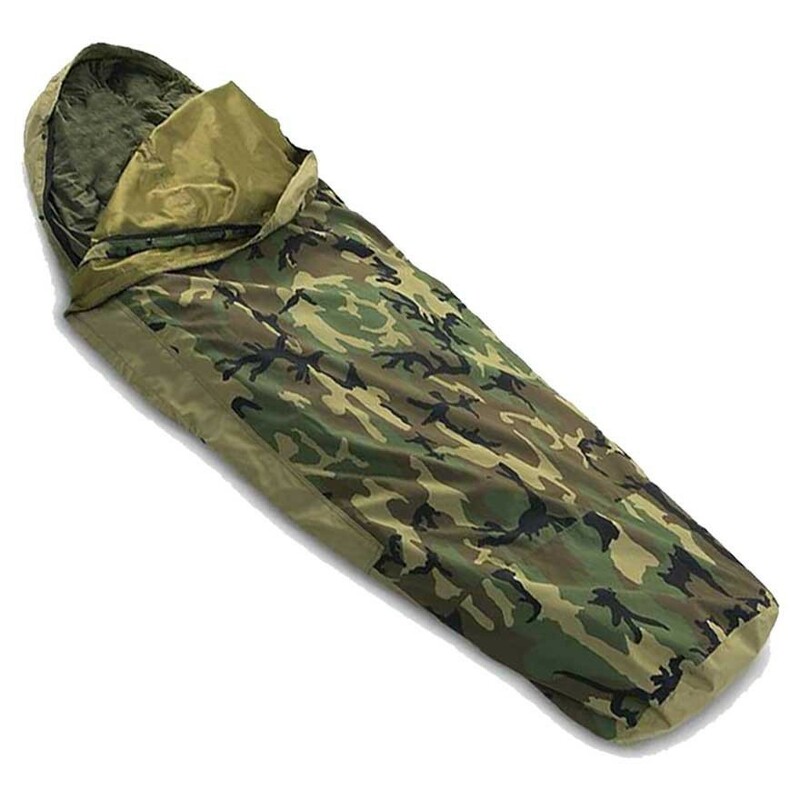 Background: Designed to finally address the deficiencies in keeping Marines dry when sleeping or resting. One-time low cost opportunity has been taken advantage of to field the entire FMF with this bag.